You have more than one way of paying for your medical care after a car accident. Your choices may be health insurance, car insurance, or cash. 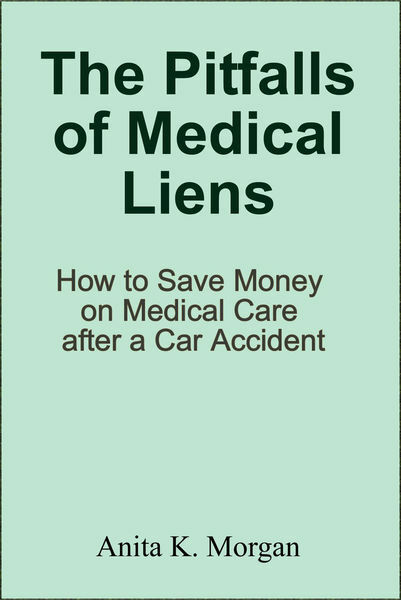 Or, if the accident was not your fault, your doctor may offer you a medical lien. It is worth your time to investigate these options and choose the one that is best for you. Doing this could save you thousands of dollars. Medical liens are frequently far more expensive than other methods of billing for your medical care. Learn why this is so and tips for avoiding the pitfalls of liens. Accident, Car, Care, Liens, Medical, Money, Pitfalls, Save permalink.